Raising your house? Need to dig it out first? Working with all builders and homeowners across Brisbane, Ipswich, Coomera, Ormeau, Pimpama & Tamborine, Dee Gees Bobcats provides affordable and professionally managed under house excavations. 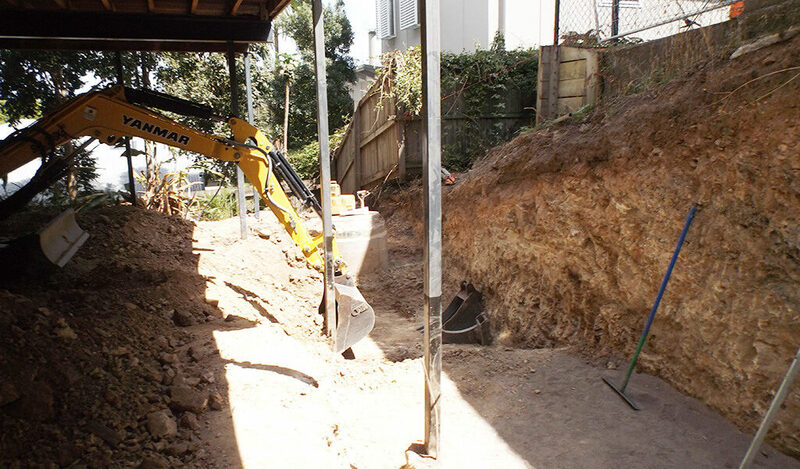 Whether you’re adding plumbing to the ground floor for a new bathroom or toilet, or just a simple carport, extensive excavation work is required and it’s important to get that work done right. 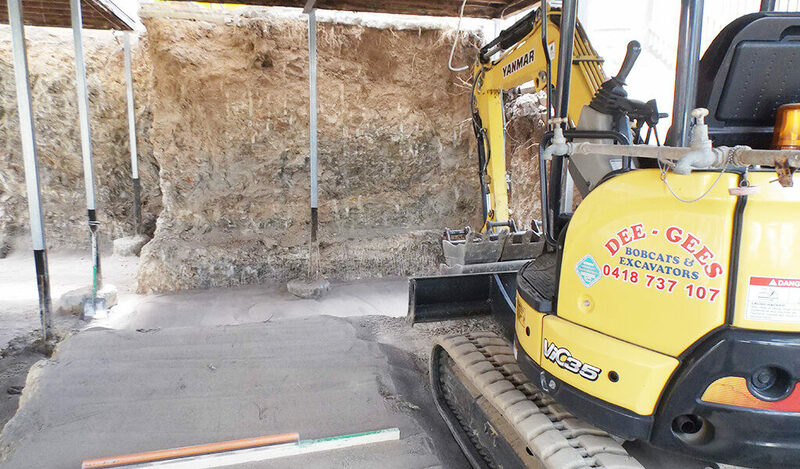 As a leading local excavation and earthmoving company with over 30 years’ experience, Dee Gees Bobcats provides fully-insured, high-quality work and free quotes. Why choose Dee Gees Bobcats for Brisbane and Ipswich under house excavations? Having worked with many builders, house-raising companies and homeowners on house-raising and excavation projects, the Dee Gees Bobcats team has got under house excavations down to a fine art. With a wide range of excavation and earthmoving machinery, including mini bobcats and excavators to get into those hard-to-access spaces, and a team of experienced operators, we provide fast, efficient and cost-effective excavation services for all projects. Along with excavation work for under house and house-raising projects, we can also assist with trenching, drainage and swimming pool excavations. Safety is a high priority for us and we take every measure possible to secure the site and ensure a safe environment for all. When you need earthmoving contractors for under house excavations in Brisbane, Ipswich, Coomera, Ormeau, Pimpama or Tamborine, give Dee Gees Bobcats a call on (07) 3375 5315 from 7:30am to 5:30pm Monday to Friday.